I recently came across this and whereas my initial thought was – yeah right, my immediate second one was ‘hang on a minute, this is totally wrong and a lame excuse’. The saying in the picture implies that kids only played like this before technology. If that is really the case don’t you think we fail in parenting? Nothing is more important than for kids to be able to play freely in-and outside and with friends. We can’t blame technology that they do not do this anymore! Technology often enriches our lives, yet it can be a curse when used too much or in the wrong way. Screen-, computer- and tablet-time is far too common nowadays and sadly you see more and more ‘family-dinners’ where the kids just sit in front of a tablet and the parents eat. I know it makes a lot of things easier but I rebel against that thought. I still carry a game and colouring stuff with me when we are out. Electronic gadgets are not meant to be at a (dinner) table. In a very rare exception, but it is just a too easy way out not only for myself as a parent but as well for the kids by just attending to an electronic advice to be occupied. Refuse to let technology take over the day-to-day life! Make sure that kids still play freely, to develop their creativity, to be able to think out of the box and to come up with ideas even or especially when they are bored. Kids should be excited and happy when they are allowed to use and play on electronic devices, and not take it as a given. 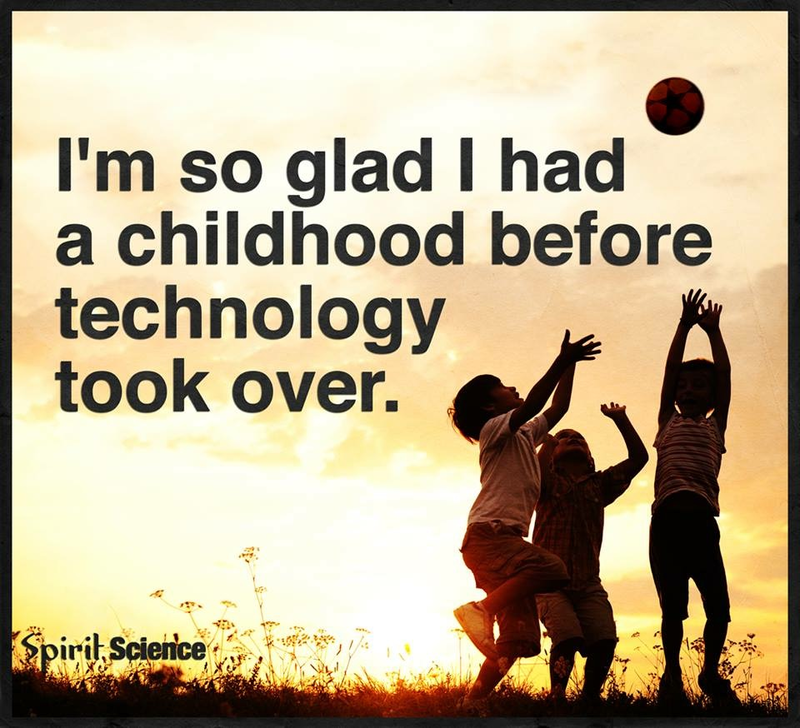 Don’t blame technology for not having a good childhood! I know I make my life harder by refusing to give in and others won’t agree but that I something I am passionate about and until they are older and ‘do what they want to do’ anyway I will follow that path! Have a lovely day – want to join me and reduce the use of your technology?